In 2009, 20,881 marathoners finished the Marine Corps Marathon in an average time of 4:41. With a running field this size, Marine Corp Marathon ranks among the top of our 50 Best Marathons. 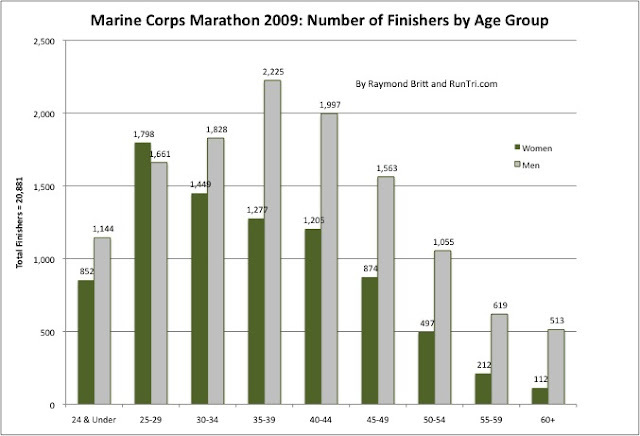 Also see our analysis of Average Finish Times by Age Group and our Complete Marine Corps Marathon Coverage.